I am having some problems. Please try again later. Didn't get that. Try again. It seems your browser does not support microphone access. It seems you have no microphone. A connection error occured. Please try again later. Sorry, I couldn't understand what you said. Please try again. Select a username and the desired gender. We are preparing for TOP rewards! The aliens on Kepler-442b have been extremely fascinated by the human anatomy ever since they reached Earth. The robot Zalmox is here to help them understand the processes that occur in earthly organisms. The Three Galactic Wars brought the herious race to the brink of extinction. DERZELIS was sent to Earth to prevent humans from having the same experience by providing them with advanced health and well-being technologies. G4 was created at the Galactic Institute of Robots to explore the Universe in search of something stable in an ever-changing world. He found out about math and has been teaching it ever since! The robot H.E.N.A. – Historical Events Nature Analyzer – visited Earth many times. She witnessed both the development and the collapse of many populations, hence she can give the best advice to modern-day civilizations. Learn how to play with numbers and their fun properties! Choose the right fuel for the most complex kind of machine! Keep both your mind and your body at their best! Find out what the amazing human brain can do! Explore the Code of Life, genes, and heredity. The realm of words awaits you to take a tour! Travel back in time to see the most flourishing civilizations! Discover the treasures brought by the most colorful season-autumn! Explore the magic of winter and discover its charms! The Dacobots team invites you to take a step closer to the stars! Enjoy the reawakening of nature in the Dacobots world! Where do you live? Who are your neighbors? You must be thinking about your home address and some names, but if you consider the magnitude of the entire Universe, your answer might change! You might realize that all human beings live in the same neighborhood – planet Earth! Today you will see what lies beyond your familiar earthly environment. Don’t worry, multiplication will help you work your way through this vastness more easily! Start practicing now! apply your knowledge and understanding of multiplication in problem settings from daily life. Are you ready to board a spaceship and explore the Solar System? We shall depart soon, but first you need to learn about division. Not only can it help you figure out what the size of the planets close to us is compared to the Sun, but it might also turn out to be life-saving sometimes! Use your skills to rescue some aliens from their damaged spaceships and then cross the asteroid belt by using this mathematical operation! apply your knowledge and understanding of division in problem settings from daily life. I’m sure you enjoy taking walks outside, but did you know that numbers also like to move around freely in addition and multiplication? Their unwillingness to settle in a certain place within the two operations has a name – the commutative property! Let us find out how to use this interesting property in both mathematics and real life! After completing this module, you might also develop a passion for knitting! apply your knowledge and understanding of commutativity in problem settings from daily life. The Robot Academy is ready to train new merchants and builders, but your help is needed! Besides creating two separate groups of trainees for each one of the jobs, you have to be their supervisor. They come from very distant planets where the distributive property is seldom used, so they cannot grasp this concept completely. Use your earthly intelligence to upgrade the wings of the Galactic Shuttles, and then go to the Galactic Market to sell some fruit! apply your knowledge and understanding of distributive property in problem settings from daily life. The treasure on the Blue Moon is waiting for us to find it! However, you ought to remember that this is not a regular treasure – in order to open it, you need to prove that you can use the associative property of addition and multiplication. Do not worry, everything will be explained to you our way there. Are you ready for your first class in space? apply your knowledge and understanding of associative property in problem settings from daily life. Earth is among the richest planets in food varieties! However, every single food item fits into one of the five food groups. Today you will learn what each group consist of and why the food items in it belong to the same category. You will also find out what happens to the substances contained by the food that humans eat once they get in the body. Next time you’re enjoying a meal, you will know everything about the nutrients in it! correlate the effects of the five food groups with the human body. Nowadays, you can find so much delicious food everywhere! It is very difficult to figure out which one is good for you. Unhealthy food usually is tastier, which is why a lot of people like it so much. You should always remember that you are what you eat! However, if you want to have a healthy diet, you should also take into consideration how much you eat and which activities you engage in afterwards. Complete this activity to learn more! discover the role and importance of calories. Not only can sugar be found on Earth, but scientists have also discovered it in space! However, this sweet substance is hidden almost everywhere nowadays, so you must be careful enough to avoid any excess. But if humans can’t have too much sugar because it’s harmful, how come we crave sweets? Complete this activity to learn why desserts are our favorite dishes! explain what the effects of sugar consumption are. Besides its nutritive value, salt used to have an important role in the culture and development of many cities and populations all over the world. By completing this activity, you will be able to find salt deposits both on Earth and on other planets in the Solar System! Moreover, you will learn how salt affects your brain, muscle tissue, heart, and kidneys. identify the benefits of salt consumption. Let us build a fat molecule together! There are many types of fat – some are good for your health, but others aren’t. You can even find fat in some kinds of fruit! Complete this module to find out which food items you should avoid, on the one hand, and which ones are recommendable if you want to be in good shape, on the other. differentiate between good and bad fats. The human body has developed its own tool which enables it to react to life-threatening situations. However, this tool, which is called the fight-or-flight response, can also turn out to be inconvenient in some cases. Your body’s stress response can also be triggered in circumstances that are not life threatening. Today, you will learn that you can decrease your stress levels simply by controlling your own thoughts and seeing things from a different perspective! understand the way in which your thoughts influence your stress levels. The most complex piece of machinery that has helped humans to evolve and to shape the Earth into what it is today is the human brain! Every single action that you perform, every thought that comes to your mind, and every process that occurs in your body is regulated by this incredible organ. Today you will learn about the three sections of the brain and their functions. Next stop: the headquarters of the human body! describe what a neuroscientist is. How can the human body feel whether it’s hot or cold outside? How come you start shivering as soon as it gets too cold? Not only those processes, but also many others are enabled by your neurons! Although neurons are so small, they are as complex as an entire city – they have their own city hall, power plant, harbor, and even an insulated highway! detail the functions of each neuron part. Neurons are the most important cells in your body, but in order for them to carry out their functions, they need an entire team of cells to help them out. The ‘support team’ of a neuron is comprised of smaller, but extremely important cells, each playing a specific role in both your central and peripheral nervous system. Let’s meet the aides of the neuron! explain why glial cells are useful. Everyone wants to be as smart as they can be, but in order to achieve this goal, one must take good care of their own brain. If you get used to the habits you will be presented today, your mind will remain as sharp as possible for a really long time! There are some practices that you need to avoid, too. Today, you will be introduced to both the beneficial and the harmful routines for your brain. You will start aging one day, but your brain can remain young! differentiate between the habits that are healthy and those that are unhealthy for the brain. Each piece of information that you store in your memory travels a long way every time you recall it. But how come we can remember some things easily, while other ones are extremely difficult to retrieve? If we always come upon stimuli, how come only some of them can be remembered afterwards? And why do we remember strong feelings so vividly? How can one keep their balance on a hoverboard? Learn the answer to all these questions from this module! detail the stages involved in the process of learning. Did you know that you can hold on to your memories by hanging them on ‘mental hooks’? You will always remember any information more quickly by making associations in your head and linking mental images together. Imagination and intellect go hand in hand! If you manage to learn this technique, you will never have to write a shopping list again. use the peg system to memorize new information and solve simple problems from everyday activities. Are you trying to memorize a set of items in a certain order? Do you want to remember lists more easily? You’re in the right place! Complete this module and you will learn how to apply a memory technique that will help you to improve your knowledge and imagination at the same time in a fun way. Use your newly acquired ability to lend a hand to Timmy, a little robot which is trying to cross a lava river. use the first letter mnemonic system to memorize new information and solve simple problems from everyday activities. There are so many ways in which you can memorize lists and groups of items! The power of your mind is greater than you might think. Have you ever thought of creating a funny story which features strange elements, such as a flying dolphin that wears glasses, to remember a list of words that are not connected in any way? The secret is to come up with a link between the items yourself! Complete this activity to practice this cool memory technique! explain why the chaining mnemonic system is useful. Are you ready to learn how to use a memory technique that has been around since ancient times? Besides lists and words, you will also be able to remember large numbers. Most mnemonic techniques rely on your imagination, but this one is different because it focuses rather on logic than on creativity. Whether you want to go to the grocery store or to memorize someone’s phone number, the chunking mnemonic technique will help you to organize the information in such a way as to remember it more easily. apply the chunking memory technique to simple problems from everyday life. Your challenges for today are to walk in Simonides of Ceos’ shoes and to build your own palace! The mnemonic technique that you will learn today will improve both your capacity of recalling lists, sets of items, or even lessons taught at school, and your visual memory. From now on, you will see the places that are familiar to you in a completely new light. Imagine remembering information by simply entering your room! apply the Palace of Thought memory technique to simple problems from everyday life. Has anyone ever told you that you look like one of your parents? How is it possible for two related people to resemble each other? You will find out today that the secret resides in the DNA molecule. You will also understand why human beings who are born in different places on Earth have a dissimilar appearance. Moreover, you will be able to build a DNA molecule yourself! name the component parts of the DNA molecule. Your body is capable of performing some amazing processes, but I am sure you already knew that. This module focuses on the copying machine inside every living organism – the RNA molecule! Not only will you see the copying process with your own eyes, but you will also be able to contribute to it by building chains of amino acids. name the component parts of the RNA molecule. An alien has accidentally arrived on our planet. He does not speak nor understand any human language, but we can help him together. To make him feel welcome, we will also throw a cupcake party during which he will learn about one of the basic parts of speech – the noun! You can test both your knowledge about nouns and your decorating skills by completing this module. form and use the plural form of both countable and uncountable nouns. They say that actions speak louder than words, but how about action words then? Can you remember what a verb is and when to use it? How about tenses? Keep this in mind – whenever you want to tell someone a story, the main part of speech that you will use is the verb, which is why it’s very important to practice with tenses as much as you can. demonstrate correct use of subject-verb agreement. The course of history is highly unpredictable, but there is at least one certainty – the influence of the Roman people on the entire world will last for a very long time! How can we be sure about this? Find that out yourself by learning about the foundation, development, expansion, and fall of Rome. You will be introduced to the Roman customs, beliefs, and architecture. You will also learn about some of the greatest rulers of Rome throughout its history. You will certainly agree with the first statement! describe the Romans' traditions and beliefs. Today we’re taking a walk through the Valley of Mexico, on Lake Texcoco! We are going to meet the Aztec god Quetzalcoatl at the Great Temple of Tenochtitlan. Then, we will take a look at the Aztec Sun Stone and learn what is actually symbolizes. We will also visit the market of Tlatelolco, where we will purchase items using the Quachtli! describe the Aztecs' customs and beliefs. The Dacians were brave men who successfully fought against the Roman Empire itself on many occasions! Despite the fact that the Dacian territory was eventually conquered by the Romans, there were many failed attempts. The Dacian population was remarkable due to its legends, customs, beliefs, and practices. Are you ready to meet Zamolxe, Decebal, and Howly? Let’s depart for Sarmizegetusa! describe the Dacian traditions and beliefs. Today you’re going to be both a student and a restorer! I will tell you the narrative of the rise and fall of the Persian empire; then, you will find out some interesting facts about the Persian culture and religion. As soon as you learn enough, you will be able to restore the Tachara Palace in Persepolis, one of the three capitals of the Persian empire. identify the main traits of the Persian religion. Economics, science, art and philosophy originated in the ancient country of Hellas, which is nowadays known as Greece. The Olympic Games, the Greek gods and the temples built in their honor, as well as the most well-known epic poems – the Iliad and the Odyssey – are all part of the inheritance that the world received from this population. Complete this module to learn more about one of the most influential ancient civilizations. explain the social and political significance of the Olympic Games. Nature likes to match her looks with the current season. Since autumn is coming, she has to sort her clothes by the season they are suited to - fall or summer. Complete this activity to lend her a hand! complete the panel for each season. Welcome to the autumn garden, a place where shapes and colors are plentiful and varied! Take a stroll through the wonderful alleys and see if you can recognize and match the leaves that look alike! pair leaves according to color. According to research conducted at University of Intergalactic Behaviors, humans and faerians are the only beings that still house and take care of other living creatures. That is why Earth and Faeria are full of colors, flowers, animals, scents, and flavors! Make your own contribution to maintain this state by sowing and growing flowers in your virtual garden! identify the conditions required for growing a flower. The Autumn Fairy has a message for you, but she has hidden it, because it's a secret and she doesn't want anyone else to find out about it. How quickly can you figure out what it is? Connect the dots to find out! discover the autumn weather symbols. Decorations were invented not only by humans, but also by Nature! Let us find out how Nature likes to ornate her flowers, grass, and leaves, by using the most beautiful kind of tinsel! recognize the process of frost formation. The trees are tired for having carried all their leaves during the entire summer. Luckily, Windy is here to relieve their burden. Complete this activity to learn how he does it. differentiate between left and right. Windy and Mr. Rain are The Autumn Fairy’s best friends. However, when it comes to humans or creatures on Earth, both Windy and Mr. Rain can only get along with those who wear autumn clothes. The other ones get a cold! Complete this activity to learn how to make friends with The Autumn Fairy’s permanent companions. differentiate shapes, colors and patterns. There is a clear sign that autumn has arrived – there isn’t much free room left in the pantry, because many goodies are being stored for winter. For this reason, the Galactic Institute decided to found a Galactic Pantry to hold the supplies of the entire Galaxy! However, they need a person with good organizational skills to help them arrange the numerous items on the shelves. compare the size of jars. The signs of autumn are everywhere now! Everyone can see the beautiful colors and smell the various flowers, but it takes handiness to feel the taste of autumn. Don't worry, Derzelis is here to help you! Let's prepare a delicious fruit salad! identify the steps required to prepare fruit jam. Fruit comes in various shapes, sizes, and colors! Some pieces of fruit have stalks and leaves, but others don’t; some are small, others are big, and so on. Today, the playful pieces of fruit want to challenge you! Can you recognize their color? color as many pieces of fruit as indicated by each number on the screen. Fruit usually nurtures your body, but today, it is also going to nurture your mind. Answer these riddles about fruit to train your brain and become sharper! comprehend short poems and solve word problems. The cropping season has just begun, so your help is needed at the orchard. Use your organizing skills to arrange the fruit in two crates and provide the Galactic Market with some of the most delicious earthly kinds of fruit. pick and sort fruit by size. I am sure you have seen your parents cutting vegetables, but your assignment for today is quite the opposite! You have to put two halves together to recompose a whole vegetable. match the corresponding halves of each vegetable and restore the whole. Here's a set of riddles to boost your brain power and knowledge about vegetables at the same time! The Autumn Fairy always brings a lot of gifts when she arrives into town. Discover some of those gifts by completing this activity. order vegetables by size, from small to large. Flowers and humans are more alike than you’d expect! Did you know that they eat, drink, and breathe, even if they don’t have mouths or noses? Find out how they do that by analyzing their component parts. explain the role of different elements, such as insects, sunlight, water, etc. in the life of a flower. When it comes to the beauty of flowers, small details are the most important ones! Can you notice all of them? Piece your own flower together according to a given model and test your visual acuity! They say that flowers make you feel happy. Brighten your home by ornating it with beautiful flowers and display them in a beautiful vase made by yourself! Pick the best decorations for your own customized vases and print the one you like best! coordinate and correlate different colors and elements to reproduce a decorative pattern. Discover the beauty and richness of autumn! As you solve these puzzles, the treasures of the most colorful season are revealed to you, little by little! demonstrate increase in spatial awareness. Windy is terrible at drawing! He wanted to create two panels that look exactly the same, but failed to do so. Test your visual acuity and help Windy out by spotting the differences between the two drawings. explain the reasons behind the differences between drawings. Autumn preparations are going on all over the Galaxy. Someone must travel to Earth to purchase some fruit and vegetables, but everyone is very busy at the moment. Derzelis made a shopping list; she wants to go to the market with you! Will you join her? become familiar with terms from everyday activities, e.g. : shopping basket, shopping list, cash register, etc. Winter has arrived, so Mr. Bear wants to go to sleep. Unluckily for him, Old Icicle does not seem to agree with his plan. The frozen villain simply won’t let Mr. Bear enter his own den. Let’s send Old Icicle away by tossing snowballs at him! Mr. Bear will be thankful! associate numbers with their graphic sign. Did you know that even aliens like to have fun? Derzelis is here to show you a game that she used to play back on her home planet. Start discovering this galactic card game and practice your knowledge on word meanings at the same time! explain the meaning of opposite terms. Derzelis was dazzled by the many appearances that the nature on Earth has throughout the year. Let us show her the differences between winter and autumn through art! explain the differences between autumn and winter. It's winter time! The snowy hills are waiting for you to go sledding! Maybe you're more into skiing or ice-skating. No matter what you prefer, if it’s winter, you can play all those sports, as well as many others! Can you discover the winter sports hidden in these puzzles? describe many different winter sports. Winter is the most fun season! There are so many games that you can play out in the snow! If you want to enjoy all the games to the fullest, you need to make sure that you’re wearing the right equipment. Let’s go shopping! There are three kinds of equipment on our shopping list – ski equipment, hockey equipment, and sledding equipment. differentiate between the clothing items worn when performing different winter sports. Some frisky snowmen want to play hide-and-seek with you! To increase the challenge, the ingenious snowmen have created different rules for this game. Are you ready to play? Santa’s on his way! Let’s decorate the Christmas tree with some beautiful ornaments of varied shapes and colors to give Santa the warmest welcome! differentiate between shape and color. Santa becomes a softie when it comes to smart kids! That is why he brought you not only presents, but also a set of riddles to test your wit! comprehend short rhymes and practice vocabulary. Create your own greeting card design and let everyone know how thrilled you are that winter is here. You can pick your favorite color, frame, and decoration! differentiate between the elements that make up a greeting card. Winter has left a mark on everything around, even the domino tiles! The regular pips were turned into winter symbols. Complete the domino sequence correctly to prove that Winter did not manage to trick you! Snowflakes fall from the sky and dance their way to the ground, gently floating and swaying in the arms of the wind. Sometimes, they rush towards us, eager to share their joy; other times, they move slowly and enjoy each second of their dance. Let’s join in their dance and count them! How many snowflakes have fallen from the sky? recognize the numbers from 1 to 9. Have you ever wondered why it snows in winter, but not in other seasons? How are snowflakes born? What is snow actually made of? Complete this activity to find out! describe how water drops turn into snowflakes. Here’s a glimpse of the life of a toy maker! Build your own toy according to a model and create the greatest toy collection! associate the parts with the whole. Winter is here, so it’s time to take all the pairs of boots from the closet and put them somewhere handy. Whoever arranged them in the closet last spring did not pay any attention at all! The entire closet is a mess! Lend a hand by putting the pairs of boots together. group the shoes in pairs. The playful shadows have hidden away from their matching socks. All the socks are now trying hard to find their shadow. How about helping them out? compare the outline of different forms. We travelled to the North Pole and discovered some animals that were looking for their babies. The melting ice had caused them to get lost. Let us help each baby return to his parent! Let’s discover the fascinating world of Arctic animals! Can you figure out where each animal lives? How about what it eats? Complete this activity to find out! compare the life styles of arctic animals. On Christmas Eve, every kid is eagerly awaiting Santa’s arrival. How about other animals? What do they do on Christmas Eve? Solve the puzzles within this activity to see how penguins, polar bears, and seals spend their winter holidays! Derzelis and the other Dacobots were astonished by how different earthlings are from one another. For instance, there are so many traditions and customs that different peoples on Earth follow on New Year´s Eve! What amazed the Dacobots most was the tradition in some regions of Earth of building a mask to welcome a new year. Complete this activity to build such a mask yourself! describe the New Year customs in some regions. Winter is the season of creativity! Let´s make some beautiful ornaments to celebrate Christmas! recognize different shapes and colors of winter ornaments. After having a delicious alphabet soup, the best dessert consist of... numbered pretzels! Can you arrange them in ascending order? differentiate between the terms 'lower' and 'higher' when it comes to numbers. Human space exploration has come a long way, hasn't it? In this activity, Zalmox will show you the first steps that humans took towards translating the mysterious language of the sky! explain how the Hubble Space Telescope works. Each species in the Universe sees the world in a different set of shades and colors. Humans have discovered a way of cheating their anatomy and seeing the colors that cannot normally be seen with their eyes! How did they do it? You will have found that out by the end of this activity. explain what the role of gamma ray, radio, and infrared telescopes is. Do you have what it takes to be an astronomer? Let's see how good you are with telescopes and how easily you can deal with astrophotography! compare some images of the Sun captured in different wavelenghs. How did humans manage to visit their neighboring destinations in the sky? What is the difference between a space shuttle and a rocket? Why isn't Columbia the same as Ariane 5? Complete this challenge and you will be able to answer all those questions! identify the parts of a rocket that can be reused after its lauch. Discover the components of a modern spaceship by assembling one yourself! Who says that rocket science can't be fun? match the parts of a rocket according to a model. Would you like to become a rocket scientist? It is not easy, but it is worth it! Have a taste of what being a rocket scientist feels like by launching your very first rocket in this activity. identify the role of each parameter in the launch of a rocket. Let's take a really quick look at the history of Earth! You're about to discover some of the milestones in Earth formation. Can you connect the dots and figure out what the missing links are? Complete this activity to find out! describe the history of the Earth's formation. Pick any planet and add the following ingredients: an atmosphere, a pleasant climate, water, light, and heat. In this activity, Zalmox will explain to you what the recipe of life is! describe the atmosphere of Earth. Test both your knowledge and your intuition with this Earth-related quiz! identify the truth value of different statements about Earth. What would living on the Moon be like for a human being? In this activity, Zalmox gives you all the necessary information for you to discover the answer to that question yourself! identify the main properties of the Moon. What do Earth and the Moon have in common? What makes them different from one another? What do scientists believe about the formation of the Moon? Complete this activity and you will learn not only the answer to all those questions, but also how you might one day make a great scientific discovery! explain why the same side of the Moon is always visible from Earth. How much do you actually know about the Moon? Take this quiz to find out in two minutes! identify the truth value of different assumptions about the Moon. There is a planet in the Solar System that is so similar, yet so different from Planet Earth. Scientists even think of turning that planet into the next home of human beings! How about that? Play this game to find out more. explain the characteristics of the surface of Mars. Let's compare the twins of the Solar System, namely the Blue Planet and the Red Planet! Zalmox will coach you along the way. describe the characteristics of a day on Mars. Do you think we could live on the rings of Saturn? Can the surface of Saturn be trod on? Why is that? If you do not know the answer to those questions, Zalmox is here to help you! discover the moons of Saturn. Saturn is almost ten times larger than Earth, and yet both planets are equally dense. Zalmox, the friendly Dacobot who is keen on Science, is about to explain why. explain why Saturn is a gas giant. The planet Saturn has lost its famous rings. Play this game to help Zalmox restore the beautiful rings of Saturn. There is a celestial body that is made of ice, and yet it can burst into fire when it's close enough to Earth; it is solid, and yet it cannot be stepped on; the Sun creates and destroys it at the same time. Is it possible for such an object to exist? Find out now by playing this game! explain what the difference between a short-time and long-time comet is. Step inside the Galactic Comet Factory to learn how comets work by building one yourself! analyze the effects of an orbit's eccentricity. Zalmox is upset today! He thinks that nobody knows the difference between comets and asteroids anymore. Complete this activity to cheer him up by answering his questions! identify the properties of a comet. Zalmox invites you to explore the region of the Solar System located between Mars and Jupiter. On your way there, you can learn a bit of Ancient Greek. By the end of the journey, you might find the Little Prince's rose! Are you ready to board Zalmox's spaceship? describe the properties of asteroids. A new machine called the 'Asteroid Question Detector' was launched recently. Scientists doubt whether it is quick enough to be used at their laboratory. Lend them a hand by testing this device! describe what asteroids are made of. With this short challenge, you can become a space rockstar in less than five minutes! Answer all the questions and Zalmox will reward you! identify the truth value of different statements about asteroids. The doors of the Galactic Institute of Telescopes are now open for everyone! Today you can observe several stars, including Arcturus, the Pistol Star, Antares, and many more! identify the brightest stars in the sky. Even if it is made of small particles, stellar dust can cause the most massive and colorful explosions in space! This process involves many steps; Zalmox is ready to reveal this celestial mystery to you! describe the life cycle of a star. It's time for another session of celestial observation! Your telescope will enable you to follow in Charles Messier's footsteps and discover some of the places where stars form. Once upon a time, before the formation of the Solar System, there was a star that exploded. Eventually, that star was replaced by the Sun and the planets around it. Do you want to know how that happened? Play this game! explain what a planetary nebula is. Zalmox wants to show you one of the most beautiful nebulae - the Cat's Eye nebula! Answer all his questions correctly and you will be able to take a closer look at it! identify the correct statements about nebulae. The journey of the two Voyager robots is not over yet! Play this game to see which destinations they have reached so far. Can you predict what happens next to the two robotic probes? compare Voyager 1 to Voyager 2. Let us compare two space probes - Deep Space and Galileo. Can you guess which one is Zalmox talking about? Take this test to find out! compare the Deep Space and the Galileo probes. Send your own satellites out into space and watch how different celestial objects can divert their trajectory! select the angle and speed that a probe needs to have in order to reach different targets. After each rain, the sky cheers up and smiles in a variety of colors! Let us find out what the secret of the rainbow is and where its colors come from. enumerate the colors of the rainbow. Let's get ready for the arrival of spring! What happens to the snow when the weather warms up? What about all the ice? Derzelis is about to reveal the answers to you! explain what happens to the ice and the snow during spring. As soon as spring arrives, the playful snowflakes go away. Sunrays and raindrops appear instead. But how do raindrops form? How do clouds appear? Let Derzelis give you the answers! The world around you is much more interesting when your imagination is rich! Have you ever noticed the shapes of the clouds? Let's look for the objects and beings hidden in the clouds! associate the shapes of the clouds with the symbols of spring. Numbers are everywhere in nature! The key is to know where to look for them. Let's practice along with Derzelis! associate digits with the number of sunrays. The weather was warm throughout the entire year on Derzelis' home planet. In order to learn what the difference between the four seasons is, Derzelis received some cards with drawings that depict elements of each season. She has accidentally mixed up the winter and spring cards. sort out tokens according to the symbol depicted on them. Plants also enjoy the arrival of spring and the tender warmth of the Sun, same as humans do! Derzelis is about to give you magic powers! You will be able to move the Sun as you will. You will notice how plants open up their petals to enjoy the sunlight. explain why flowers open their petals during daytime and close them shut at nighttime. Did you know that the wind is friends with many, many plants? Find out why in this activity! demonstrate knowledge regarding the role of the wind in flower pollination. Spring is the perfect season to plant and grow flowers, because they enjoy the sunlight a lot! Derzelis wants to show you how to tend a garden and which are the flowers that you can plant during spring! Not only do flowers come back to life in spring, but insects also return! Derzelis invites you to discover many different insects by building them out of their component parts. recompose many different insects out of their body parts. Theo, the butterfly, is not very happy about his spatial awareness. He wants to find the shortest path to all the flowers, but he's not able to do so. Guide Theo throughout the labyrinth! identify the shortest path within a labyrinth towards a pre-established destination. Derzelis took many pictures of insects, but she cut them apart in the shape of puzzle pieces. Now, she wants to solve the puzzles, but she is not very familiar with the insects living on Earth. What about you? Do you know which insects appear in spring? Help her arrange the puzzle pieces! The migratory birds have arrived back to us after the cold season. Their nests din not survive winter, so they have to be built again. Can you help the birds rebuild their nests? associate geometric shapes with many different types of bird nests. Solve winter-themed jigsaw puzzles and discover the universe of migratory birds! describe the birds featured in the puzzles. The travelling birds have returned in pairs, but they were in such a hurry that all of them have lost their partner. Let's help them find each other! identify the association between two related elements. How much do you know about the fruit and vegetables that appear in spring? Derzelis has some riddles for you! Can you figure out what the right answer is? identify the correct answers to some riddles about fruit and vegetables. Let's greet spring by playing a fun game! Discover the beauty of nature in spring by solving spring-themed jigsaw puzzles! describe the fruit and vegetables featured in the jigsaw puzzles. Fruit and vegetables have just been picked from the garden. Before turning them into a delicious meal, there is something else that we need to do! Do you know what that is? Complete this activity to find out! sort out the clean fruit and vegetables. Let's tend the Dacobots garden! Now that spring is here, flowers need to be taken care of in order to grow and develop. recognize gardening tools and their corresponding activities. Now that nature is coming back to life, we need to tend the garden in order for all the plants to grow freely. Let's assemble some gardening tools! Can you figure out what their use is? Derzelis will help you out! identify the name of many different gardening tools. Discover the activities that need to be carried out in spring in a fun way, by solving jigsaw puzzles! Let's visit the fairy in Springland! On our way there, we will discover the traits of many domestic birds! describe wild and domestic birds. The playful birds attended the Great Council of the Winged, and now they want to return to their homes. However, they were so preoccupied with the matters they had discussed, that they got lost on the way. Do you think you can help them get back home? arrange the digits between 1 and 9 in ascending order. Discover the domestic birds hidden in this jigsaw puzzle! detail the defining characteristics of many domestic birds. Build a custom greeting card according to the Eastern European tradition! Find out how some people celebrate the arrival of spring and let everyone know how excited you are about this season! identify the component parts of a greeting card. Spring is present everywhere now, even in maths! Let's paint spring landscapes and perform calculations at the same time! identify the result of additions and subtractions. Derzelis wants to learn more about the traditions that some human beings follow. Let's us show her some Easter customs! experiment with combining many different colors. Every Dacobots card is a reward given for successfully completing an elearning game. Select a series from below to see your current progress. The purpose of this section is to present the membership terms and conditions of the Dacobots.com portal. Please read this section carefully prior to purchasing one of the membership packages shown on the previous page. If you purchase one of the membership packages, you become a member of the Dacobots.com community. Signing in on the Dacobots.com community implies that you agree with the membership terms and conditions. In order to make sure that the information in this section will always be available to you, please make a copy and print it. If you agree with the membership terms and conditions, please check the box at the end of the ‘Select your Membership Package’ section. If you do not agree with the membership terms and conditions, you will not be able to purchase any of the membership packages. The users which have not reached the age of majority require parental advisory before purchasing one of the membership packages. By purchasing one of the membership packages, you confirm that you have reached the age of majority. Choose one of the membership packages in the ‘Membership’ section on the upper part of the screen. €4.95 monthly subscription. To renew this subscription, you need to repurchase the membership package after a month. €9.95 subscription for three months. 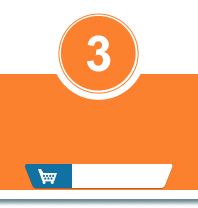 To renew this subscription, you need to repurchase the membership package after three months. €16.95 subscription for six months. To renew this subscription, you need to repurchase the membership package after six months. €24.95 subscription for 12 months. To renew this subscription, you need to repurchase the membership package after 12 months. If you own a Dacobots coupon, type the code on it in the ‘Insert Coupon Code’ section. Press the ‘Continue’ button after completing the steps above. You will be redirected to the payment section. Enter your PayPal account information. You can purchase membership packages on the dacobots.com portal via PayPal and various Credit/Debit Cards. A message stating that your payment is being processed will appear on the screen. You will receive a payment confirmation via email. You become a member of the Dacobots.com as soon as you receive the payment confirmation email. We reserve the right to change the price of the available membership packages from time to time. The price of the membership package you want to purchase is displayed on the screen while you are in the process of purchasing it. The discounts included in the membership packages may vary in time. Moreover, we may change the availability duration of the membership packages. You will be notified regarding any change in the price of your membership package through an email. Only the price of the one month, three months, and six months subscription may change. The price of the 12 months subscription can only change if the members who purchased such a subscription renew it after the price change is instated. 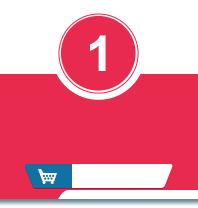 If you want to renew an already existing subscription, the amount you will be charged is displayed on the screen while you are in the process of purchasing it. Both new members and existing ones are charged the same amount, which depends on the moment when they purchase membership packages. We do not guarantee that you will be charged the same amount as before. Furthermore, we do not guarantee that you will be able to renew your subscription for the same amount that a different subscriber purchased it for while your old subscription was still available. You payments are processed in a safe environment. Log in, press on your user name, and choose the ‘Account Info’ section, and then press on the ‘Cancel Account’ button. Fill our contact form, which can be found at the bottom of the Dacobots.com page. We reserve the right to cancel the subscriptions of the members who do not heed the terms and conditions. All the subscriptions are non-refundable and non-transferrable. Membership packages may not be changed through transferral or renewal. All subscriptions are available for the period of time indicated when you purchase a membership package. If you want to renew a membership package that has expired, you need to repurchase it. You can purchase a membership package by entering the Dacobots.com portal. The free version of the portal does not include all the available applications and games. To gain full access to every educational resource on the platform, you need to purchase a membership package. The subscriptions on the Dacobots portal are subject to discounts or additional benefits, which can be attained through the coupons included in the Dacobots magazine. Type the code on the coupon in the ‘Insert Coupon Code’ section within the ‘Membership’ tab to attain such a subscription. The discounts and benefits included in our subscriptions are not permanent; they may vary in time. The discounts and benefits you can attain by using a coupon code are presented to you when you purchase a subscription. The discounts and additional benefits that can be attained via a coupon code are not cumulative, but rather substitutive. Coupon codes cancel each other out; if you add a new coupon code while another one is still active, the benefits of the latter are cancelled in favor of the former. The Dacobots portal was created and is hosted by Ascendia Inc. By signing in and purchasing a membership package, you agree that your personal information be processed by us. The present terms and conditions apply for all subscriptions and membership packages. We reserve the right to modify our terms and conditions from time to time. We are not responsible for the loss or damage of the coupon. Subscriptions are intended for personal use and cannot be sold, transferred, or refunded by the members. The Dacobots coupons are available for an unlimited period of time prior to their use. Each Dacobots coupon can only be used once. In order to gain access to the Dacobots.com portal, you need to have compatible software and hardware and a broadband internet connection. We are not responsible if a coupon is stolen or lost. We will not process any information regarding the credit card or bank account of the members. The information related to your credit card is encrypted prior to its transmission from PayPal to Ascendia, in accordance with industry secure payment standards. If either Ascendia or the members of the Dacobots.com portal do not comply with the present terms and conditions, neither of us will be responsible for the resulting losses of the other, except for those losses which we or you could foresee would result from the failure to comply with the present terms and conditions at the time you purchased a subscription and became a member. We do not exclude or limit our liability for death or personal injury caused by our negligence, for fraud or any other liability that Romanian law does not allow us to exclude or limit. The Dacobots portal is constantly being updated. We intend to maintain our standards of high quality. Therefore, our team constantly inspects and updates the portal. If you experience any technical difficulties, we guarantee that the problem will be solved as soon as possible. If any court or competent authority decides that any of the provisions of the present terms and conditions are invalid, unlawful or unenforceable to any extent, the term will, to that extent only, be severed from the remaining terms, which will continue to be valid to the fullest extent permitted by law. The present terms and conditions comprise the entire agreement between us regarding your Membership. You acknowledge that you entered into these terms and conditions without relying upon any promises or statements other than those specifically set out in the present terms and conditions. The present terms and conditions are governed by Romanian law. We both agree to the non-exclusive jurisdiction of the Romanian courts. Dacobots.com collects information or data that is voluntarily supplied by you. By way of direct chat with the portal. Dacobots.com does NOT sell your data, individually or in aggregated form. Dacobots provides various services (collectively, the “service”) to you, the user, subject to your compliance with all the terms, conditions, and notices contained or referenced herein.